Why we love wearing makeup ? Why we love makeup? It’s a good question. They can be messy or tidy, dysfunctional or thriving, turbulent or consistent. The one relationship that should never fail, however, is the one between you and makeup. The average woman spends 11 minutes a day putting on makeup. And you shouldn’t feel guilty for a single second of that. The way liquid eyeliner can enhance the eyes to make them pop, and the process in which foundation can cover unwanted blemishes is truly astounding. If you spend 20 minutes on your makeup in the morning, great. Makeup love you for it. If you skip it entirely, totally fine, too. Makeup will not be offended. In the end, we’re pretty sure that you’ll see why whatever choice you make for yourself is the best choice of all. So why are we wearing makeup ? Why we scroll instagram searching new tutorial about makeup? Wearing makeup is an act of self-care. Sitting down for 15, or even five minutes to apply makeup is a gesture of self-care, love, and personal nourishment. Sometimes, stopping to put on your makeup in the morning is the only YOU time you can get. So, taking a few moments to gloss your lips and precisely fill your brows is 100% necessary to take on the day. When your brows are on point, life is on point. There are so many things you can do with it other than cover up insecurities. Makeup is an essential part of theatre and film making. Many of your favorite characters would not be possible without makeup. Countless people like Jaclyn Hill and Mykie from Glam and Gore made something out of themselves using makeup and now they have very successful careers. It can also be used to help express and channel your individuality.. Makeup also brings people together. On Youtube there is a huge community of thousands of people who get online and share their favorite products and to show off their art. Doing other people’s makeup is one of my favorite things to do because you can see the confidence flow in. Makeup has given so many people so much empowerment and self love. When we feel these three things boys and girls become unstoppable. 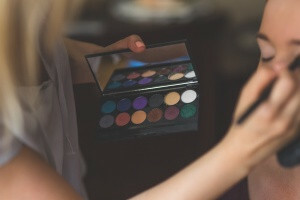 Makeup can prepare you for “battle.”Just like we have certain clothes for working out and certain ones for going out, the idea of “putting on our face” with makeup can help prepare our mental mindset for whatever “battle” we are heading into. Putting on makeup can help us step into the different roles in our lives. And the most important we LOVE COSMETICS AND SHOPPING. That moment when we walk throw aisle and look at all those incredible products … Lipsticks, eyeshadows , eyeliners, compacts , Glitters, moisturisers, polish nails etc. Buying cosmetics is easier by online shops and testers which companies sending. Easy to buy, fun with puting makeup and this feeling when everybody looking at you ! 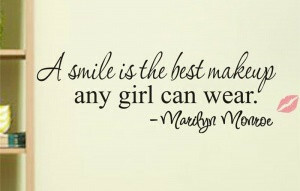 That’s why we love makeup ! Instamakeup give you what you need to look amazing. SOME INSPIRATION FOR ALL WHO LOVE MAKEUP!